Jean Guy from 7Acres is a hybrid strain with very high THC content andaromas of citrus and wood. 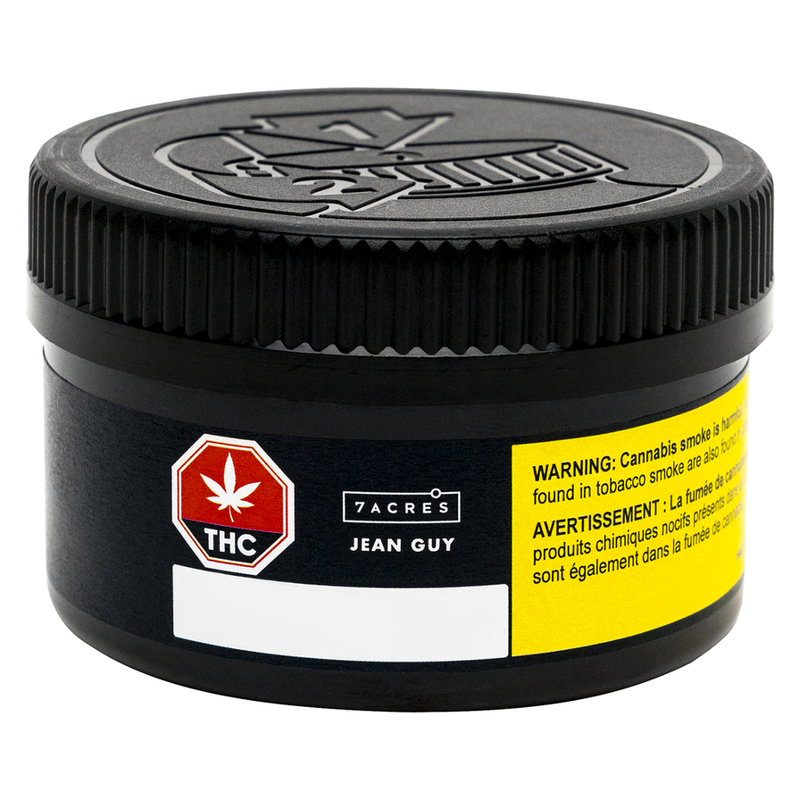 7Acres’ Jean Guy features a pungent sweet, citrusy and woody aroma. It’s grown indoors and sun-enriched to improve its dense flower structure, and then slow-dried, artisan-cured and hand-polished. According to 7Acres, Jean Guy is reported to produce feelings of happiness, euphoria, relaxation and/or uplift. It ranks very high on the THC potency scale and comes in four sizes: 1g, 3.5g, 7g and 15g. Who's smoked it? Tell us about it! I smoked it - Met my expectations and more!